When I first started working at Lawline almost 3 years ago, I became familiar with one of the company’s many traditional events, the Book Club. Every quarter, we pick one book to read and have discussions on the book during one of our weekly Thursday lunch sessions. For a non-reader like me, this is a great opportunity to push myself to read more. 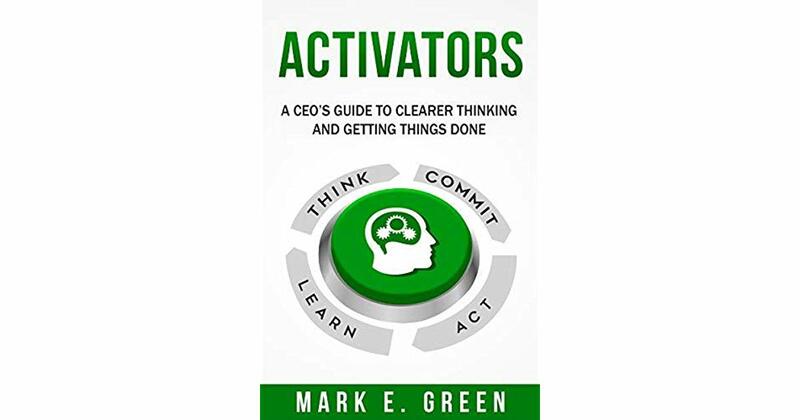 Recently, I had the pleasure of hosting our latest book club event for which we read the book Activators - A CEO's Guide to Clearer Thinking and Getting Things Done, written by our company’s executive team coach, Mark Green. Since public speaking is really not my thing (and there are usually around 10 people who join the book club discussions), there was some pressure around hosting the meeting. In my opinion, the hardest part is to make the meeting engaging and get everyone to participate in the discussion. Luckily, I found this quite easy to do as the book is both practical and thought-provoking. The author really dives deep into our day-to-day habits and behaviors, so it was an easy gateway towards getting everyone to open up and share their thoughts and professional experiences. It was a great lunch-and-learn event, as we call them internally. As the book’s title suggests, it is a book for CEOs of all levels of experience, intended as a guide to clearer thinking, setting life purposes, and getting things done. However, I would say this book is applicable for anyone who needs help making better decisions, because ultimately, life is full of decision-making. Commit - Based on those directional conclusions, we make commitments like setting goals, core values, strategies, etc. These cycles are straightforward to follow, but Mark dives deep into explaining unconscious forces - motivators, habits, and beliefs - that limit our ability to make rational, optimal commitments. They are with us at every moment whenever we are making decisions. Mark mentions that leaders and CEOs often know what they want and how they want to move their companies forward, but eventually still fail to execute on it. In actuality, between each and every stage, there are decisions that we make as we progress through the cycle. All of this decision-making eventually causes the majority of us to fail in executing our original visions. Additionally, throughout the book, Mark provides many useful tools (Fear Reduction, Know your WHY, Change your Habits, Life Purpose, etc.) to guide us through the process of reconfiguring our thinking, and help us to get where we want to go. In summary, without any more spoilers, Activators is such a great read with practical tools for people who want to go to the next level in their personal and professional growth. Reading this book, leading the meeting, and implementing tools from this book into my everyday life are examples of my own growth, which is one of the core values that Lawline emphasizes within our work culture. 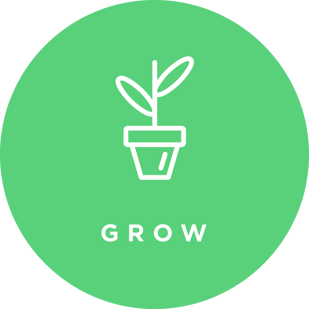 At Lawline, we are always looking for new ways to grow, and Mark’s book gave us all some inspiration. Born in Macau, China and raised in Hong Kong, Oi is a traditional Chinese guy who loves Asian food. He received his Bachelor’s degree in Computer Software Engineering from Polytechnic Institute of NYU. Oi’s passionate about technology both frontend and backend and always looking for best tools for projects. When he is not coding or reading tech blogs, Oi enjoys playing video games, hanging out with friends, trying out new restaurants, and spending most of his time with his wife Mian and two children Marwan and Makayla.